As much as we may wish to deny it, we are in the final days of Game of Thrones. Executive Producers David Benioff and D.B. Weiss have announced their intention of barreling towards the ending, and that there may be as few as 13 episodes left after Season Six concludes. God knows, there is plenty of material in George R. R. Martin’s A Song of Ice and Fire that could still be mined, but I think we should all be grateful that Benioff and Weiss have decided not to drag this story out. The show’s incredible success might have been used as an argument to pad out this story with a lot of extraneous subplots, postponing the inevitable conclusion for another few financially lucrative seasons. 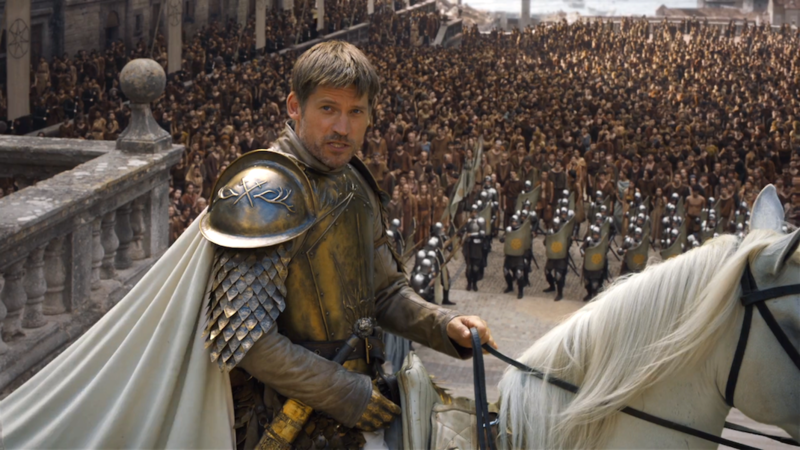 But last season’s somewhat disastrous detour into Dorne was an indication of what that might have looked like, and we can all be relieved at the way the show cut bait on that storyline this year. Very few series in television history have managed to maintain a consistent quality and integrity over even six seasons: I have no desire to see this show try to spin its wheels to reach 10. That being said, knowing that we may have fewer than 20 hours of Game of Thrones left makes me slightly resent an episode like “Blood of My Blood.” Written by Bryan Cogman and directed by Jack Bender, “Blood of My Blood” is self-consciously a bit of a breather, and a brief respite from the show’s “barreling” forward. The series has always needed one or two such table-setting episodes per season, of course. Every week can’t be “Blackwater,” “The Rains of Castamere,” or “Hardhome,” and we wouldn’t want it to be. But “Blood of My Blood” doesn’t seem to be setting the table so much as fussily rearranging the wine glasses and salad forks. I’ve said before that I like the episodes where nothing much happens, because they provide an opportunity for the characters to breathe and develop as people, not just as elements of a plot. But that’s not what really happens here. There are a few significant developments along the way—and, yes, a couple of nice character moments—but “Blood of My Blood” mostly feels like it pivots between anti-climax and redundancy. It feels like padding, and as such left me a little underwhelmed. A weak episode of Game of Thrones is still better than most things on television, so I’m not really complaining that much. However, I find I have little to say about “Blood of My Blood” that I haven’t already said about more interesting episodes. So—as I’ve been running increasingly behind on my reviews lately anyway—I’m going to keep this (relatively) short this week. Let’s begin with the ending, since it offers both a succinct summary of this week’s thematic throughline and encapsulates my problems with the episode. So this is all well, and good, and on-point—but it’s also repetitive, as is the grand speech with which Dany closes out the episode. 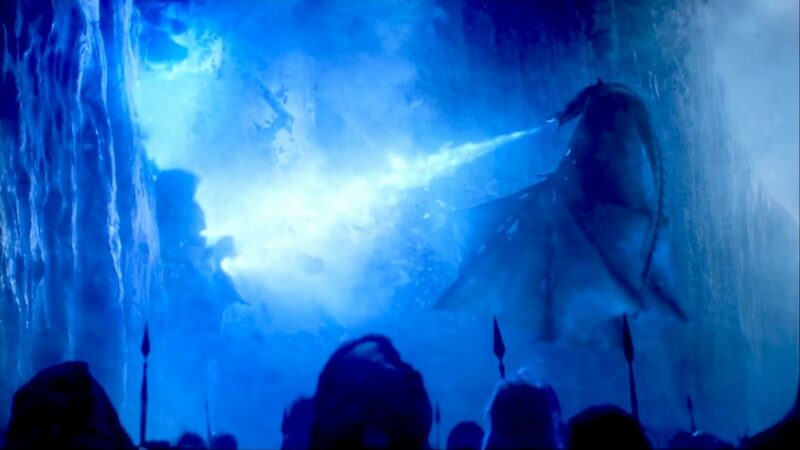 As we remember from Season Two, Dany’s passionate speeches are often a good indicator of the show spinning its wheels a bit, and this scene accomplishes little that her more significant scenes in “Book of the Stranger” didn’t already achieve. 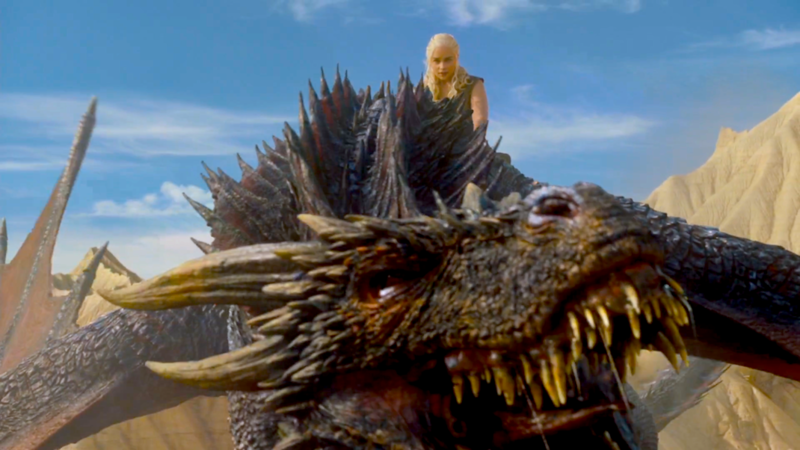 (She already recapped Drogo’s promise to ride wooden horses across the sea there, and—from the way they all bowed down to her flaming magnificence—I’m pretty sure the Dothraki were on-board with whatever she wanted to do.) 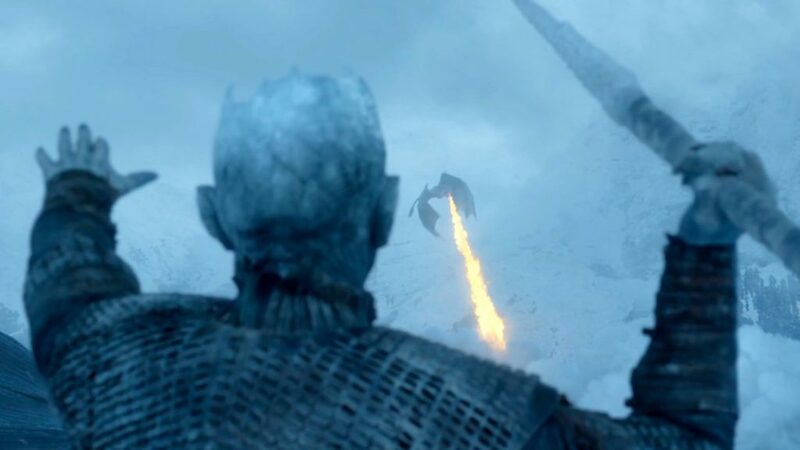 Yes, it’s fun to see Dany majestically astride the now gigantic Drogon, but one suspects this scene was included just because someone realized the episode didn’t have a big majestic visual or a rousing crescendo on which to end. I’m all for the show cranking the emotional amplifier up to 11, but—when it’s not really in purpose of anything—the returns tend to diminish. 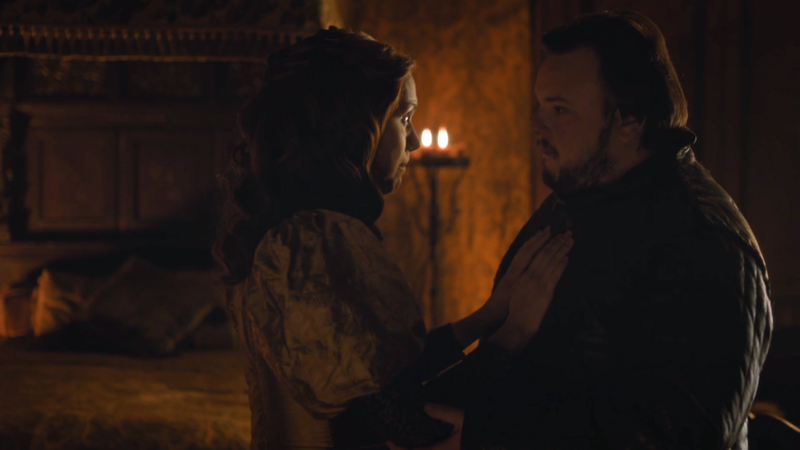 And the emotional redundancies continue in Sam and Gilly’s storyline—though I mind them less here, since the episode does make room for some nice moments between two of my favorite characters. What, one wonders, was the point of this sudden (and suddenly abandoned) side-trip to Horn Hill? Has anyone forgotten Sam’s extraordinary monologue in “Cripples, Bastards, and Broken Things,” which told us everything we need to know about his home life? Yes, the sequence is painfully on-theme: Sam rejects his birth family—specifically, his monstrous father Randyll (James Faulkner)—and declares anew that Gilly and Baby Sam are his real family. But we knew that. 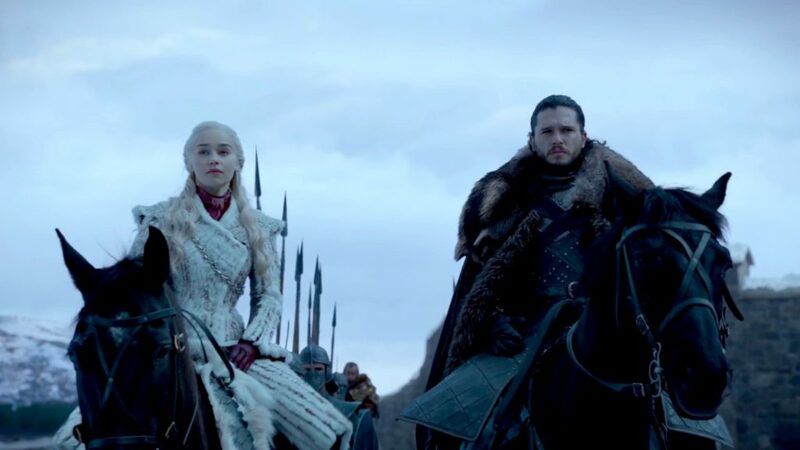 It’s been clear to everyone for several seasons, and it was declared outright as recently as “Oathbreaker.” Their relationship has always been one of the most important declarations that the strict, old world order will have to expand to make room for new kinds of families. As such, Sam’s decision to leave Gilly and Little Sam with his birth family was as stupid, ill-conceived, and doomed-to-failure as that time he left them in a Mole’s Town whorehouse. “From now on, wherever you go, I go too,” Sam promised her, in “The Watchers on the Wall,” and the authenticity of that moment (and many others) just makes this feint at separation now feel a little weak. “It’s not an easy thing, admitting to yourself what you are.” Margaery Tyrell says these words elsewhere in the episode, and they constitute another thematic throughline in this episode. Sam has always called himself, and felt like, a coward. But, in taking the sword, and in accepting responsibility for his family, Sam is tacitly admitting that he might just be a hero. Both the points and the problems of “Blood of My Blood” are echoed in King’s Landing. Like Sam’s trip to Horn Hill, the massing of the Tyrell army on the Faith Militant is another storyline that fizzles out in a bit of an anti-climax, retreating to yet another repetition of family loyalty. Cersei and Jaime’s follow-up scene is on-point: it touches on this week’s theme—as Cersei makes clear who is, and who isn’t family—and last week’s theme of horrible things happening for a reason. (“They’ve made us both stronger, all of them,” she tells her brother, of their trials.) But it’s all a little too familiar, and a little uninspired. Two weeks ago it seemed Cersei was changing, opening up to the possibility that she needed to drop her petty agendas, be smarter about how she played the game, and forge alliances with former enemies. Now, we get a return to pre-enlightened Cersei, swearing vengeance and discounting everyone outside of her immediate family as disposable. “We’ve always been together, we’ll always be together,” she says to her brother, in another speech we’ve heard a dozen times from her. “We’re the only two people in the world.” It’s an interesting note that she now seems to be discounting her last remaining child—is Tommen now as dead to her as Joffrey and Myrcella?—but it sometimes feels like Cersei’s character development takes two steps backwards for every one step forward. 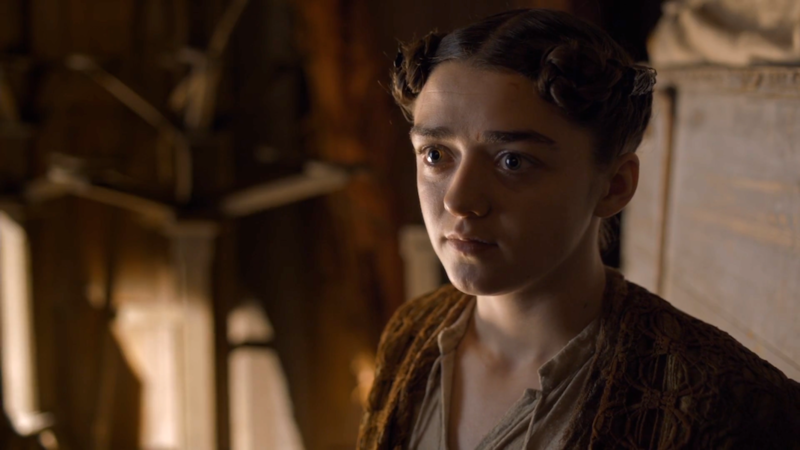 Finally, let’s talk about the one storyline that did work for me this week: Arya’s. Last week we discussed the possibility that Arya is not quite ready to embrace being a Faceless Man, and the nihilistic view of life and death that they espouse. In fact, she probably never really intended to do so. Given the constant misery that her life has been for years, it’s understandable that the idea of surrendering her former identity—and truly becoming “no one”—might have tempted her once or twice. But really, joining the Faceless Men was always a means to power for her, and the quest for power was inextricably tied to her quest for justice. She didn’t really want to be an assassin: she just wanted to be able to kill the people who deserve killing. Whether or not she admits it to herself, Arya has always had a strong sense of right and wrong. (This was one of the first things I ever observed about her, in my very first review, oh so many years ago.) We have seen her lose her innocence, during her long and arduous journey. We have seen her steal, and lie, and we have even seen her kill, viciously and without mercy. But we have never seen her kill anyone who didn’t, in some way, deserve it: to do so would be crossing a line that would turn her story into a tragedy. “Do you like pretending to be other people?” Lady Crane asks her. Arya has spent years now pretending to be other people, trying on different roles and identities to replace the one she had lost. She’s briefly joined the Night’s Watch, the Brotherhood Without Banners, and the Faceless Men. She’s been Arry the Orphan Boy, and Tywin’s cupbearer, and the Hound’s daughter, and Lana the Oyster Girl, and now Mercy the Theater Fan. So many times she has found a new home, and a new role, and she has no doubt been tempted to stay in each one. But when the time came last season to put away Arya Stark’s things forever, she couldn’t do it: she hid away Needle, her most treasured possession. It was the symbol of her brother’s love, and the hope of her family’s vengeance, and the icon of her own unique, peculiar identity. She tried to put away the Stark goodness, too—tried to become the heartless killer she thought she wanted to be—but she couldn’t do that either. When push comes to shove, she is too much her father’s daughter to kill a kind, decent woman who doesn’t deserve killing. In my discussion of “The Rains of Castamere” I talked about storytelling as a path to the sympathetic imagination, and that’s what Arya experiences here, as she is moved by the theatrical interpretation of her own story to see things differently. For one surprising moment, during the play, she is able to imagine Cersei’s grief and anger and connect it to her own. It’s enough to shake her out of her single-mindedly murderous quest for power, and it certainly means that she can’t murder the kind woman who gave her this gift. And so Arya thwarts her own assassination attempt on Lady Crane, even though she knows Jaqen may have her murdered instead. She retrieves Needle from its hiding place, reclaiming her own identity and her sense of right and wrong. And, that night, she lies down in the darkness and waits for the retribution that is sure to come. “It’s not an easy thing, admitting to yourself what you are,” Margaery said. But here, Arya has accepted who she is. She’s had a lot of different families over six seasons, but deep down she has always known who her family really is. Arya has chosen to do the right thing instead of the smart thing, and it’s probably going to get her killed. She’s never been more of a Stark than she is right now. I’m not sure we really needed to see Walder Frey again this week, but David Bradley’s performance is always a twisted pleasure. And I liked the reminder of how everything he does is driven by family pride and insecurity. (“They’re laughing at us,” he roars. “I hear it in my sleep.”) I gotta say, though, I’m not really sure Edmure Tully is the most valuable hostage.